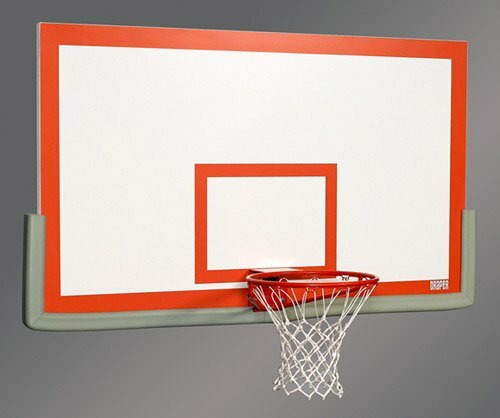 We offer a regulation sized wood basketball backboards from Draper. This heavy duty board will provide years of excellent ball response for your gymnasium wall mount or ceiling suspended system. Finest wood backboard available. 55 PCF density solid laminated wood core with eggshell white polyurethane face to resist abrasion. Inner panels are thermally fused. Border and target markings are part of laminate to prevent wear. Indoor use only.